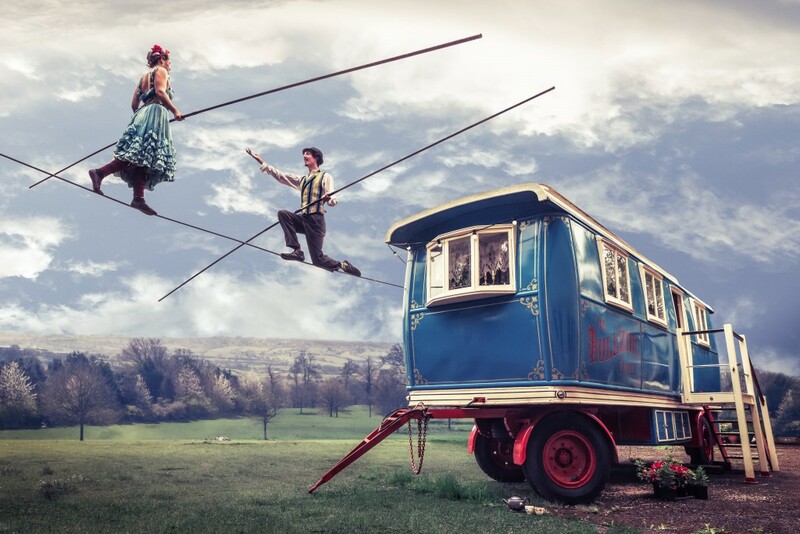 For two days during the festival, the Bullzini family will travel round the neighbourhoods of Bristol in their beautiful showman’s trailer, teaching people to walk on a wire. The Bullzini family are keeping the funambulist (tight-wire walking) tradition alive by researching and enacting the culture of wire walkers from the past. Having married earlier this year on a 27m high wire above Wookey Hole, the Bullzini’s are coming (almost) down to earth for Circus City to share the skills that are so close to their heart. This performance/workshop is free. No need to book, just turn up with a big smile! Please wear plimsoles or just socks.